A bronze plaque on a stele-shaped boulder commemorates President George Washington's visit to the area on Tuesday, May 31, 1791. The boulder is reportedly the rock he sat on while he enjoyed his lunch during the journey between Salisbury and Salem. Shortly after Washington was elected President in 1789, he decided to tour the United States in order to better understand the condition of the country, its makeup and culture, and to give the citizens of the young republic a chance to meet their first President. The duties of office delayed a trip to the South until the spring of 1791. His larger than life status made his visits important events for communities and the places he stayed became historically significant. 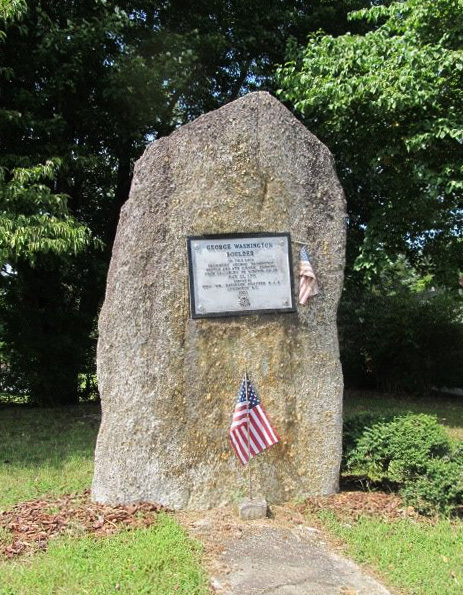 There are several stone markers across North Carolina that commemorate President Washington's tour of the southern states in 1791. Notable among them are George Washington Tree Marker in Hampstead outside Wilmington, George Washington and Henry Clay Marker in Wilmington, commemorative plaque in Tarboro, "George Washington Visit in Greenville, "George Washington Stopped Here" Marker in Arcadia, and a stone marker at Guilford Courthouse. 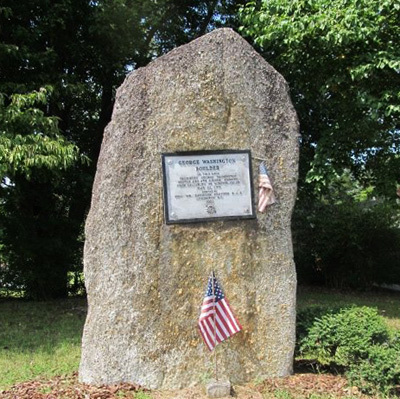 The George Washington Boulder is located on N.C. Highway 150 directly across from Reeds Elementary School in the Community of Reeds near Lexington. The marker sits in a lawn area next to a home.